After a long, hard day of brunch at Hammersmith’s, drinking beer and shopping in the local food shops, we decided dinner would be a cheese and meat plate. When I popped in to Leslieville Cheese Market I immediately knew what I wanted. A Trappist style, soft washed cheese with a creamy paste. Le Mont-Jacobs was the answer. The rind smells like burnt cheese and earth. It’s aroma is medium intensity so you could easily add this to a cheese plate without offending anyone. The paste is creamy and complex, ranging from vegetal, fresh peas and cabbage to yeasty bread and coffee near the rind. We had a nice ale to serve with this and it was a perfect pairing. I would also enjoy this cheese with some hearty brown bread and coffee in the morning. 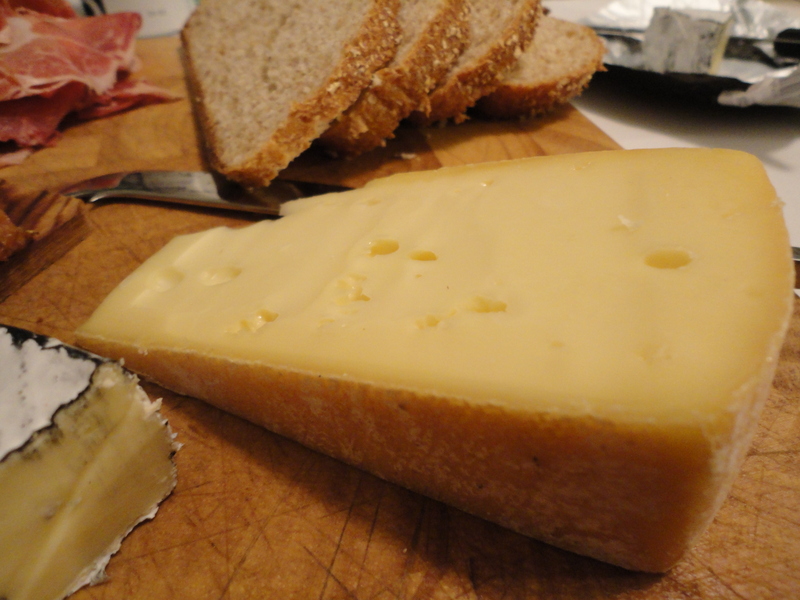 Le Mont-Jacob was a grand prize winner in its category at the 2011 Cheese Grand Prix and has been recognized in England and the U.S. as a champion cheese. The Fromagerie Blackburn is located in Jonquiére, Quebec and the milk comes from the Saguenay -Lac -Saint-Jean area, about three hours north of Quebec City. 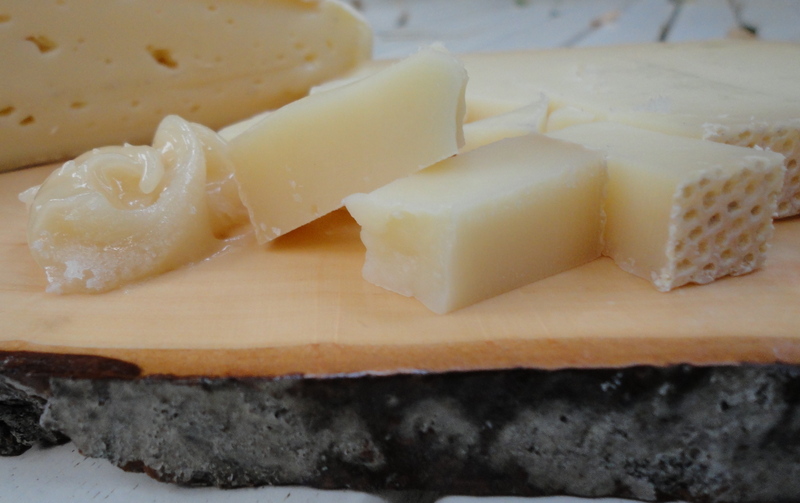 Riopelle is the perfect accompaniment for your holiday cheese plate. This triple cream, soft bloomy rind is luscious, silky and by no means a light bodied cheese. It tastes like ripe butter and milk with an aroma of wet mushrooms. Riopelle is a cheese comparable to a good, high quality french brie but it’s made on the Isle aux Grues in Quebec. Each label adorns the art of Jean-Paul Riopelle, an inhabitant of the island and a very active member of the artistic community. This cheese pairs well with a sweeter white or ripe, earthy red. 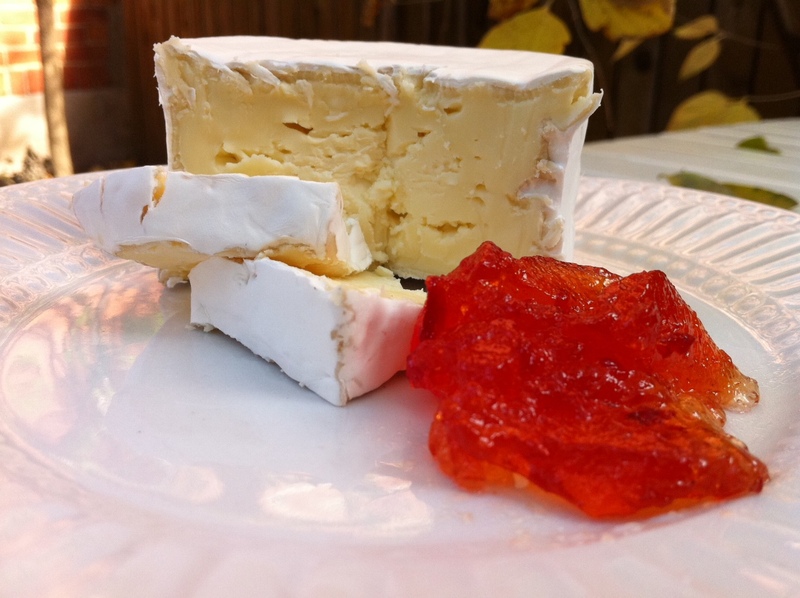 I eat it with baguette and jam for a snack or as an addition to any cheese plate that needs a soft, rich cheese. Fritz Kaiser’s ancestry originates in Switzerland where he learned the art of making quality cow’s milk cheese. The line of ash down the centre of Le Douanier is supposed to represent the line of the American and Quebec border -the area in which Fritz’s cheese shop and facilities are located. Don’t be put off by the pungent washed rind which smells of barn stall. The centre paste is creamy and soft-melt in your mouth- comfort food. It’s aroma is light and fruity with a hint of apple. 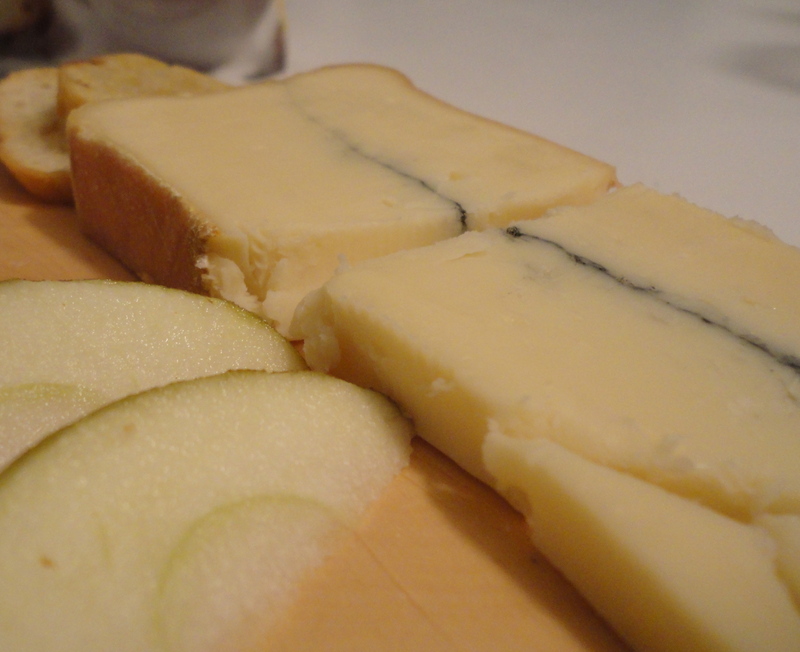 This cheese also pairs brilliantly with apples, as a dessert cheese or light snack. It’s definitely that time of year again. The neighbours are decorating their houses and getting ready to host dinner parties throughout the holiday season. I will be dedicating the next two months to “crowd appropriate cheese”. Although I love a good smelly, oozing cheese, I also understand that most people do not. I think the hardest part about entertaining is considering your audience. Du Village is a large scale cheese maker but they produce timeless, consistent results every time.Their double cream is no exception. It’s a typical bloomy rind, soft cheese. Relatively neutral and buttery with an aroma of forest mushrooms. I enjoyed this cheese with red pepper jelly and water crackers. Brought to room temperature, this crowd pleaser would make a fine addition to any holiday cheese plate. 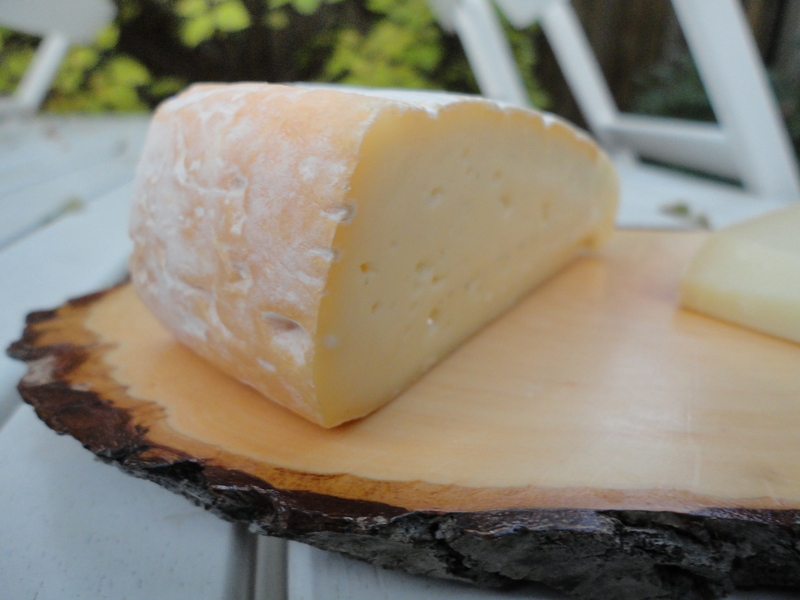 This semi-soft washed rind cheese is made from the raw, organic milk of pasture fed cows. Fromagerie F.X Pichet is located in Saint-Anne-de-la-Pérade, Quebec (between Montreal and Quebec City) and are better known for their award winning Champlain cheese. Hapi the mouse, depicted on all their labels, gets me every time. This mildly sweet aroma is rich with the smell of organic pastures. Although semi-firm, Baluchon melts like butter on the tongue. The piece I had may have been a tad young and was yeasty, like fresh baked white bread with a hint of vegetal cabbage. I ate it with some almonds, on it’s own and with whole grain bread but I think it would pair well with a pale ale or lager. The cheesemonger at “About Cheese” recommended I eat Allegretto with a Lavender Honey. On its own this sheep’s milk cheese is grassy with bright citrus orange notes- the perfect vehicle for my honey. The paste is firm yet creamy and in the same league as Manchego from Spain. 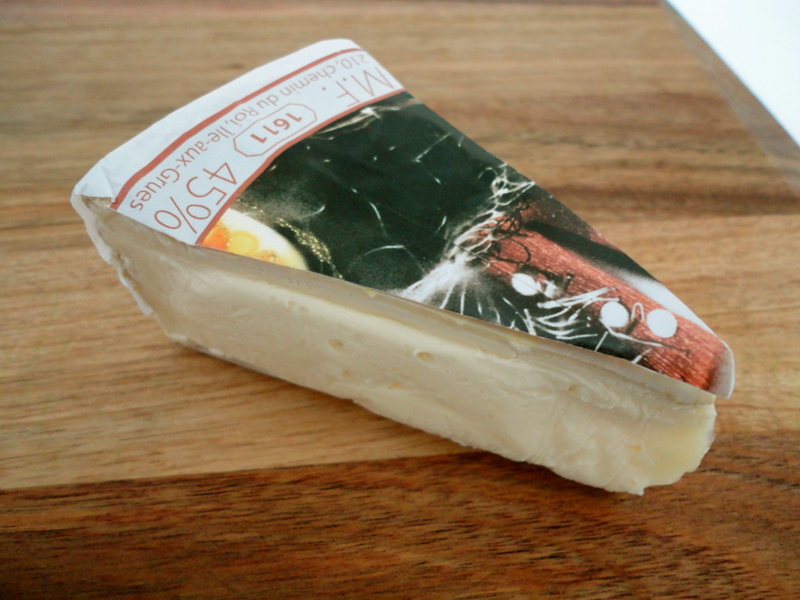 Allegretto is made by La Vache å Maillotte and sheep producer, Tommy Lavoie. The Nordic climate in this area of Quebec freezes more sugar into the feed thus producing a rich, sweet milk. The makers of this cheese recommend a sweet wine pairing. Pull out the Ice Wine and serve this for dessert! Clandestin is a blend of cow and sheep milk made in Quebec at Notre-Dame-du-Lac. The aroma is reminiscent of wet, mineral dirt on a farm. Vegetal broccoli and raw walnuts flavours are predominant in the creamy, soft paste. I would pair this with good quality unsalted, almonds. 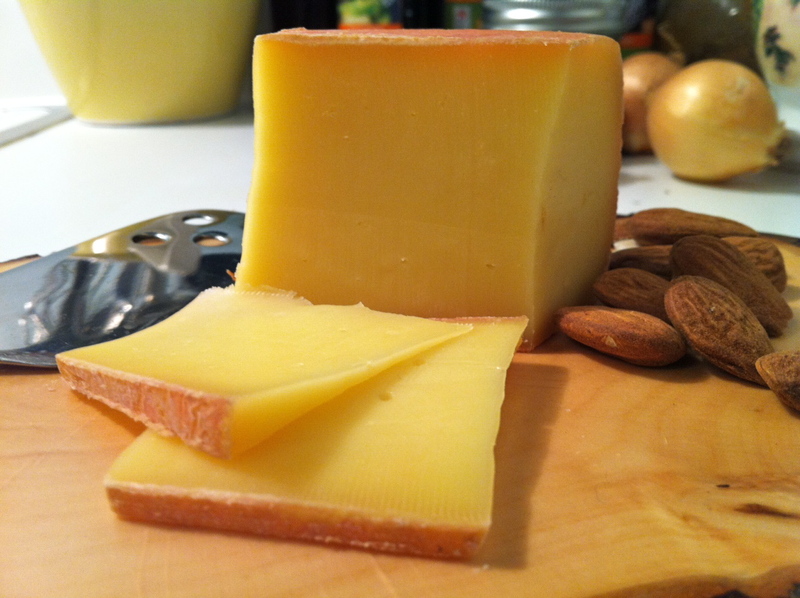 This cheese won third prize for “open category made ewe’s milk” at the American Cheese Society in 2011. Last year on the way up to Keane’s cottage, we stopped at the Leslieville Cheese Market in Flesherton for some post-car ride nibbles. 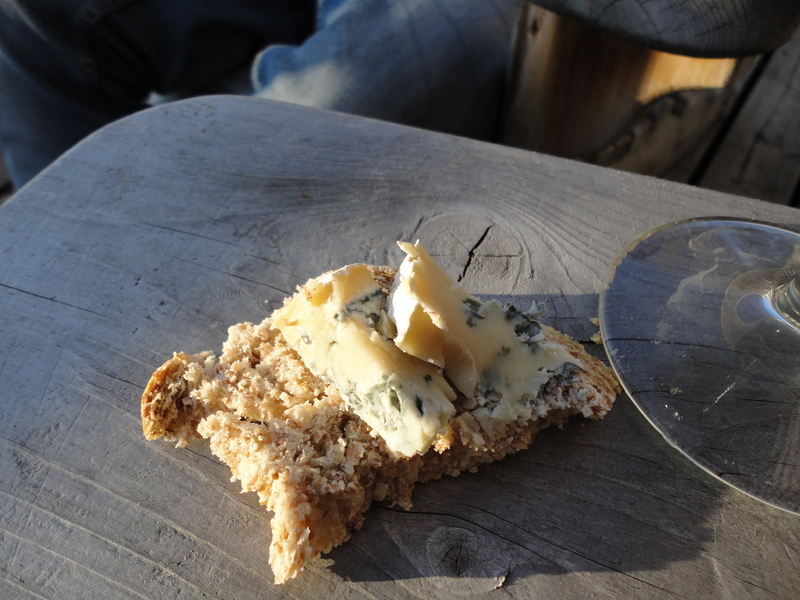 Gary, the nicest cheesemonger I have ever met, picked us out a nice, ripe piece of Bleu Bénédictin. I recently had the opportunity to taste it again. This time a little more critically. The rind, natural brown and moist has a wet dirt, sandy flavour. Not for everyone. The paste, however, smells like toasted nuts and tastes of salty meat and truffle mushrooms. It’s complex and creamy. A semi-firm that stands up to a softer bread or salad.